Mississippi’s game wardens work for the state’s Department of Wildlife, Fisheries and Parks and are known as conservation officers. They focus on law enforcement, environmental advocacy, helping landowners manage natural resources on their properties, and protecting wildlife – especially endangered species. Conservation officers in Mississippi have helped to restore the population of the once endangered American alligator, and now monitor a population of between 32,000 and 38,000 alligators that live in the state. The state’s alligators are considerably larger than those in other states with 20% of the reptiles exceeding 10 feet in length. Successes such as this highlight the critical role that conservation officers play in Mississippi. The limited number of conservation officer positions means these jobs are in high demand, and competition for them is fierce. Applicants who understand what the job involves and who are familiar with the selection process are more likely to succeed. Mississippi’s conservation officers have played a lead role in helping to preserve the state’s stunning natural wonders and animal habitats. More than half of the state remains a forested habitat for birds and game, and the Mississippi River is the single largest freshwater habitat for fish in the U.S. Individuals with a passion for protecting the state’s wilderness riches and working with the public as a government official are ideally suited to become a conservation officer. The minimum qualifications to apply to become a conservation officer are shown below. The website for the Mississippi Department of Wildlife, Fisheries and Parks provide a full listing of the requirements. Citizenship: Proof of U.S. Citizenship or naturalization documents are required. 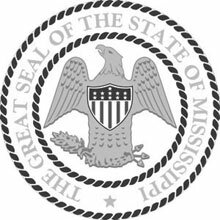 Proof of Mississippi residency may be required. License: A valid Mississippi-issued driver’s license is required. Military Service: Veterans and military personnel require ‘Honorable Discharge’ documents. Candidates will be subject to mandatory drug screening. Academic Credentials: Completion of high school or GED is required. Additionally, 64 semester hours from an accredited four-year college/university OR Associate’s degree from an accredited two-year college OR Graduation from Mississippi Law Officer Enforcement Training Academy as well as five years law enforcement experience. Medical evaluation: Medical personnel must evaluate a candidate to ensure they are in ‘good’ health. Physical Readiness: The applicant must successfully complete a physical readiness test showing that he or she is able to complete performance to minimum state standards. Conservation officers with the Mississippi Department of Wildlife, Fisheries and Parks can advance through four levels after initially being hired and eventually achieve senior officer status. There is a wide range of salaries within each of these levels, which reflects how everything from additional education to working for the department in a specialized role can influence an officer’s earning potential.